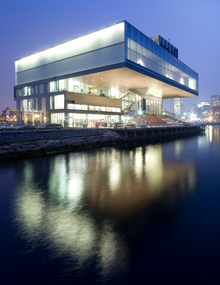 View the best art and culture Greater Boston has to offer. Our first stop is the ICA. The ICA’s dynamic visual arts program features thematic exhibitions, surveys of leading contemporary artists, and new commissions, and introduces emerging artists in first-ever solo museum shows. Travelers will be dropped off in Cambridge for the afternoon where they can enjoy lunch, shopping, and an optional visit to the nearby Harvard Art Museums. HAM is comprised of three separate museums—the Fogg Museum, Busch-Reisinger Museum, and Arthur M. Sackler Museum—each with a different history, collection, guiding philosophy, and identity. Departure from Cambridge is 6pm. Travelers can enjoy their time at each museum as they prefer. The bus will board promptly at 6pm. Advanced reservations are required by March 21. Contact Dawn Salerno at 860-536-7601 x209. Bus departs from and returns to the parking lot of Mystic Museum of Art.